We received these Matouk linens for review. As always all opinions are entirely my own. This is part of our series discussing ways to enjoy aspects of those luxury getaways right at home. We do regular travel work for The Daring Gourmet and three things we always love about our stays at luxury hotels are the bed linens, mattresses and bath towels. You could be blindfolded in the hotel room and not see any of the decor or views from the windows and still enjoy the stay because of those three aspects – it’s all about that wonderful feel. When the lights are out you can’t see anything but you can sure enjoy the feel of that wonderful mattress and those luxurious bed linens. And so it occurred to me how easy it is to replicate that “luxury hotel experience” on a daily basis right at home (contrary to what many believe, some of the best mattresses on the market are actually not the more expensive ones. But we’ll get to that later.). Imagine, each night when you go to bed after a long days’ work you can slip into those luxurious bed linens on that glorious mattress, close your eyes, and feel like you’re at a 5-star resort. Then in the morning you can enjoy a hot shower, envelop yourself in a plush bath towel and then slip into a luxuriously soft bathrobe that transports you to another world as you finish your morning preparations. Not a bad way to start your typical work day, right? After a great night’s sleep and morning shower like that I’d feel much better about tackling the day! Bring it on! 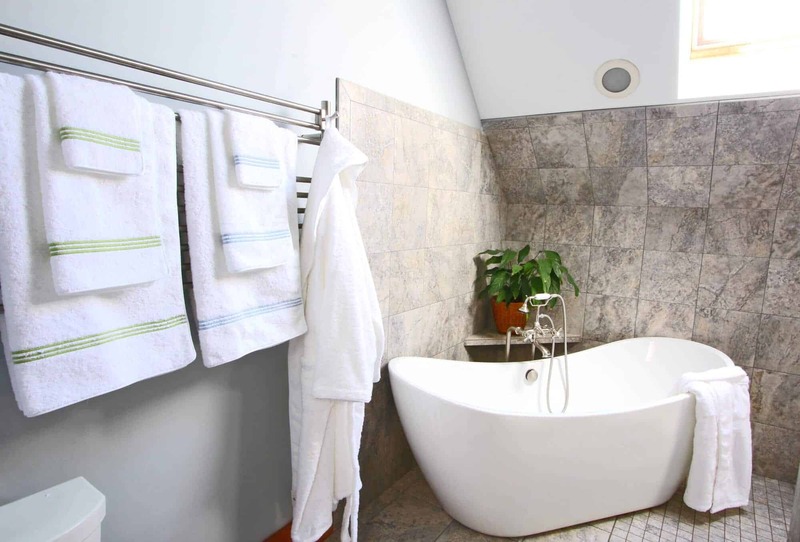 For part one of our Bringing Vacation Home series we’re focusing on bath linens. We spent quite a while researching different bath linen brands and based on what we read and heard we concluded that we needed to try Matouk. We waited for the arrival of our Matouk linens, eager to try them out. We have been using our Matouk towels and bath robes every day for the past few weeks. Our verdict: We love them. Let’s start with the company. John Matouk founded the company in 1929 with the mission to provide Americans access to the most luxurious linens in the world. He was born in Damascus and immigrated to Italy as a young man where he learned the business of fine linens and lace work. Initially he worked exporting these linens to the United States and then fulfilled his dream by moving the U.S. where he established his own fine linens company. When linen became scarce during WWII his innovation led him to pioneer his own special fabric for tablecloths, a blend of mohair, rayon and cotton, that became very popular. His son, George, took over the business in 1963 and grew the business to include the full range of home textiles for table, bed and bath. His son, George Jr., John’s grandson and now third generation Matouk, continues to lead the company with the same dedication to quality and beauty. The Matouk facility in Fall River, Massachusetts combines old world techniques with state of the art tools. Something that really impressed me is what’s written on the contact page of their website: “If you have something special to share with us, please feel free to email George Matouk, Jr., President & CEO, directly at…” I decided to give it a try and to my surprise received a response from Mr. Matouk within 24 hours. For the CEO of a company of Matouk’s stature and reputation to make himself available to personally receive and respond to emails speaks volumes to me. Long-staple: “Staple” is the industry term referring to cotton fiber and cotton fiber is divided into three classes – short, long and, a more recent development, extra long. As the thread class increases the price of the product generally goes up by 50% because long-staple Egyptian cotton takes more effort to grow and process than short-staple and there is also less of it produced (nearly 85% of the cotton grown world-wide is short staple.) The longer the staple the softer, stronger, plusher, more absorbent and more durable the threads will be. Egyptian Cotton: Considered the most desirable and luxurious cotton throughout the world, Egyptian cotton comes from a different plant than regular cotton. While regular cotton is harvested with machines, Egyptian cotton is hand-picked which puts less strain on the cotton fibers enabling them to remain straight and intact (unlike regular cotton that has splices). This makes it possible for the fibers to be made longer (long-staple) and thus stronger, softer and more durable. Dyed Egyptian cotton also maintains its vibrant color unlike regular cotton that becomes faded over time. Cotton Terry: Straight up cotton tends to be flat and isn’t fluffy, very soft or absorbent. Cotton terry on the other hand is made by weaving the cotton threads into loops on a loom. The outcome is a soft, plush and absorbent cotton fabric. Something I also learned is that fabric softener is a no-no when it comes to high quality linens. The chemicals in it can reduce the absorbency of the terry and affect the overall lifespan of the linens. We chose Matouk’s Bel Tempo towels and Cairo robes. They’re made in the U.S. of 100% long-staple Egyptian cotton terry. For that luxury hotel experience, we wanted to go with white towels. 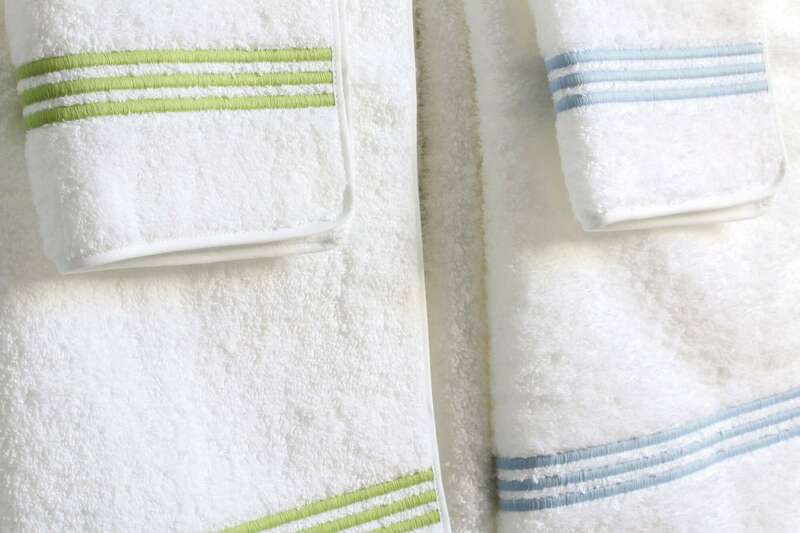 There just isn’t anything like a sparkling white towel for that crisp look and clean feel. Something we have learned over and over again through years of experience (including many bad experiences) is that high quality always pays for itself in the long run because it lasts much longer. 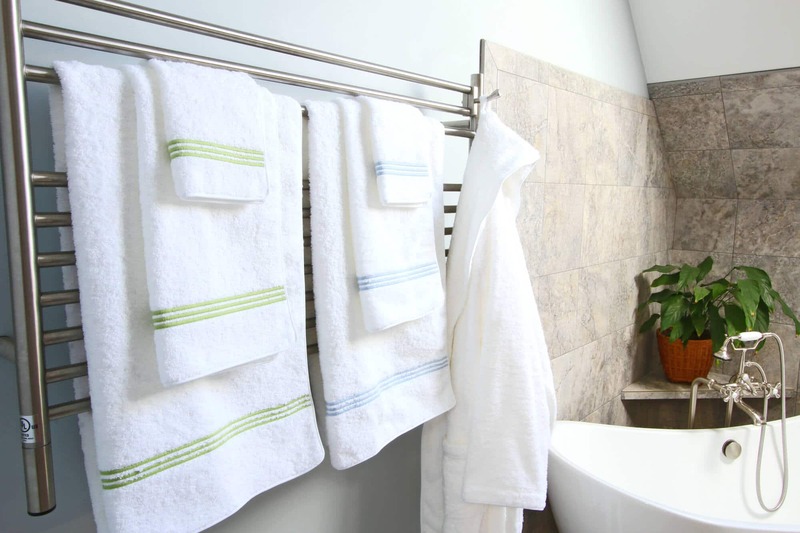 Unlike many other brands of towels we’ve used over the years that become stiff, unattractive and even a little abrasive over time (and fade in color if you’re using colored towels, these plush long-staple Egyptian cotton terry towels from Matouk remain luxuriously soft and absorbent after multiple washings. And they still look as good as they did new. We’re looking forward to getting very long use out of towels and robes. 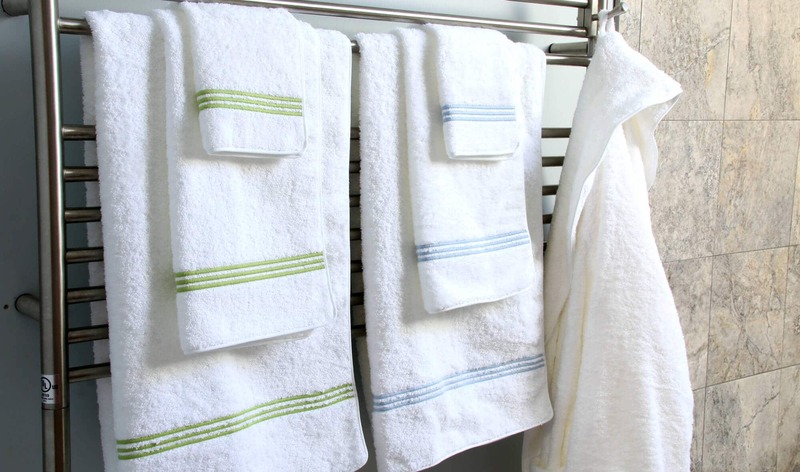 The Bel Tempo towels are very soft and relatively lightweight. The first time we used them we were worried they weren’t absorbing anything because they felt so light and soft against our skin, but absorb they did. Perfectly. The same is true of the Cairo bath robes. What a luxurious experience to jump into those. The towels and bath robes come in white with your choice of several colors for the piping. Matouk is renowned for its customizations and you can also get them monogrammed. One terrific way to enjoy that “luxury hotel experience” right at home is to invest in quality bath linens. We couldn’t be happier with ours. For the highest quality bath linens that will leave you feeling thoroughly pampered, we highly recommend Matouk. For more information about their wide range of home linens and to make a purchase, visit their website: Matouk. For a list of stores that carry Matouk, see their store locator. 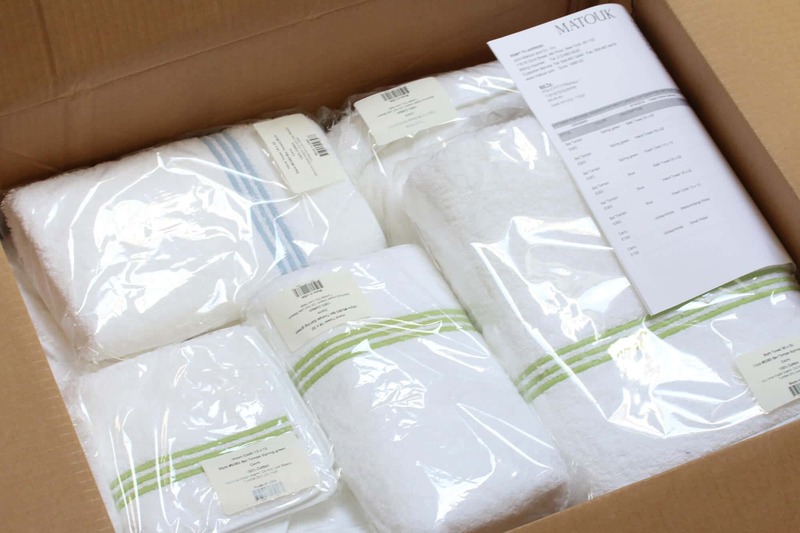 Disclosure: Matouk provided us with bath linens to review without any obligation to write a positive review. I only promote products that we personally use and trust. As always all opinions are entirely my own. Oh wow I’ll have to check out this brand! I’m ALL about the linens when I stay at a hotel and always wish I had something so great at home. Ashley, Matouk’s linens are amazing, you’re going to love them! After experiencing their towels and bath robes I really want to try their bed linens!! Who doesn’t love a little luxury in the bath? These towels are amazing! They really are amazing, Renee, I look forward to using them each morning! I totally agree. There is always a certain something about the towels in a nice hotel. It’s kind of funny how we can spend the money on that temporary stay but how it’s so easy to skimp on bringing that experience home with us by investing in some nicer linens. I am looking forward to giving these a go! That is so true, M. Crosby! I’m glad you’re to give these a try because I’m confident you’re going to absolutely love them! I couldn’t agree more, Amanda! A nice bathroom really sets the tone for the day. Oh, how I love luxury towels and bathrobes! I badly need to get a set of these towels for our bathroom. 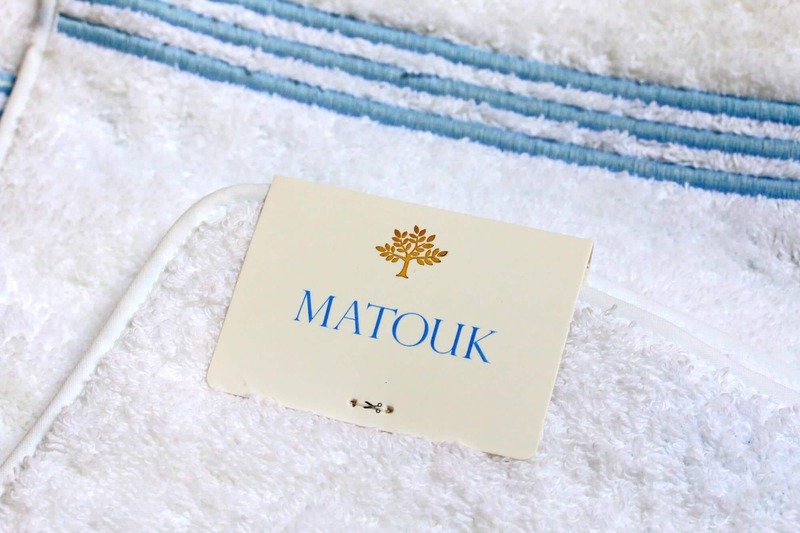 I can’t recommend Matouk more highly, we really love these towels and bath robes! This makes me want a vacation and those linens! That’s the best part, Lauren, no need to wait for a vacation – you enjoy them everyday right at home! Sometimes nothing makes me happier than stepping out of a hot bath and into a warm fluffy robe! I agree, Marye, it’s pure heaven! You will LOVE these Matouk linens, Heather! 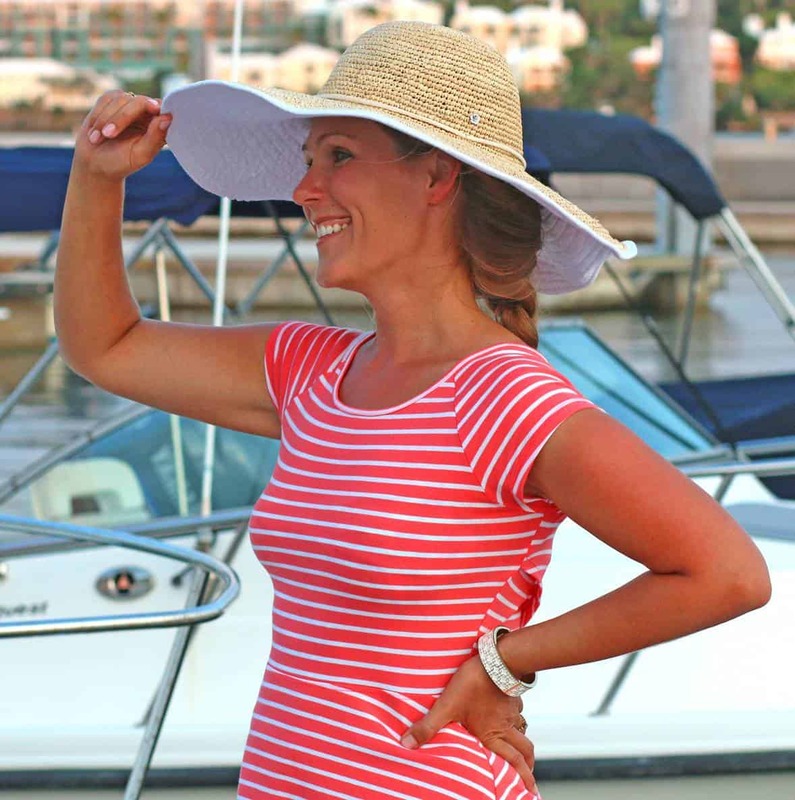 They have another really popular line called Milagro that’s supposed to be ultra soft and light as well and come in solid colors. We chose Bel Tempo this time because we wanted white and like the colored stripes but I’m looking forward to trying some of their other lines as well. I love having hotel quality linens at home! One of the best purchases I ever made was a fluffy down duvet and it’s like crawling into a cloud each night. Those linens look so luscious! Ooooh they are, Susannah, they are! Oh my gosh, I totally agree with you! I love it when I got to a nice hotel because of the bed and sheets!! Big and fluffy is how I want the towels and sheets! Oh, I know, Angie, that’s something I would always look forward to about nice hotel stays. But once you equip your own bathroom and bedroom with great linens you can enjoy the same thing every single day! Exactly, Citra! You get to enjoy one of the elements of a luxury vacation day after day and without spending a ton of money! 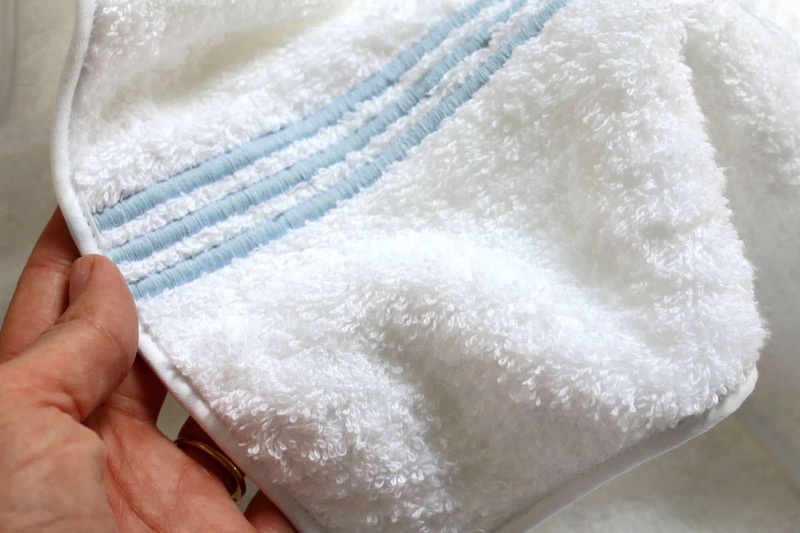 Skimping on towel quality is ridiculous – these look amazing! So true, Melanie, good linens are an investment that really pay off – not only because they last much longer but because they soooo much more enjoyable to use! Those towels look so soft! I have never heard of this brand but I need to give them a try! They are incredibly soft, Nutmeg Nanny, I always look forward to using them. You’ll love them! I couldn’t agree with you more and I’m long overdue for some quality bath linens! I haven’t heard of Matouk but really appreciate your detailed review and recommendation, I will be looking into this for my next set. Thank you! All our towels right now are rough and scratchy and so old! I’ve been looking to upgrade but nothing is as soft and plush as what I’m looking for. I can’t wait to find and try this brand! Ours were reaching that point too, Bintu and I’m so glad we finally upgraded! You’ll love Matouk! Everyone should go Luxury style! Indeed, Krista! Besides the fact that they just feel so much better, I’m also sold on them because they just last way longer than the cheaper alternatives, so they pay for themselves. These are gorgeous! Off to check them out! I’m glad we found them too, Dee! These look so luxurious! I need a little more gourmet in my life for sure! Quality bath linens are a great way to start or end the day, Cathy! I love the nice plush towels you get from hotels when traveling! I’ll have to check out this brand to use at home, too! Nothing feels more luxurious than a high-quality bath linen! These look like amazingly comfortable towels! So true, Sabrina, the difference is amazing! Hi Dennis, Matouk gives a shrinkage range of 2-10% and I agree that that’s pretty accurate. Washing it in cold water will reduce shrinkage to the lower end of that range. Our bathrobes still fit true to size.